Lower Pressure 2.2 psi / 1.15 ATA Hyperbaric Holds Promise for Alzheimer’s (or possibly any Brain Recovery)! Dr. Paul Harch, Clinical Professor and Director of Hyperbaric Medicine at LSU Health New Orleans School of Medicine, and Dr. Edward Fogarty, Chairman of Radiology at the University of North Dakota School of Medicine, report the first PET scan-documented case of improvement in brain metabolism in Alzheimer’s disease in a patient treated with hyperbaric oxygen therapy (HBOT). The authors report the case of a 58-year-old female who had experienced five years of cognitive decline, which began accelerating rapidly. Single photon emission computed tomography (SPECT) suggested Alzheimer’s disease. 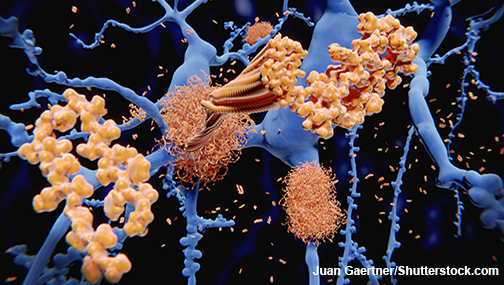 The diagnosis was confirmed by 18Fluorodeoxyglucose (18FDG) positron emission tomography (PET) brain imaging, which revealed global and typical metabolic deficits in Alzheimer’s. The patient underwent a total of 40 HBOT treatments — five days a week over 66 days. Each treatment consisted of 2.2psi 1.15 atmosphere absolute/50 minutes total treatment time. After 21 treatments, the patient reported increased energy and level of activity, better mood and ability to perform daily living activities as well as work crossword puzzles. After 40 treatments, she reported increased memory and concentration, sleep, conversation, appetite, ability to use the computer, more good days (5/7) than bad days, resolved anxiety, and decreased disorientation and frustration. Tremor, deep knee bend, tandem gain, and motor speed were also improved. Repeat 18FDG PET imaging one month post-HBOT showed global 6.5-38% improvement in brain metabolism. Dr. Paul Harch, Clinical Professor and Director of Hyperbaric Medicine at LSU Health New Orleans School of Medicine, and Dr. Edward Fogarty, Chairman of Radiology at the University of North Dakota School of Medicine, report the first PET scan-documented case of improvement in brain metabolism in Alzheimer’s disease in a patient treated with hyperbaric oxygen therapy (HBOT). The report, published in the current issue of the peer-reviewed journal Medical Gas Research, is available here.The authors report the case of a 58-year-old female who had experienced five years of cognitive decline, which began accelerating rapidly. Single photon emission computed tomography (SPECT) suggested Alzheimer’s disease. The diagnosis was confirmed by 18Fluorodeoxyglucose (18FDG) positron emission tomography (PET) brain imaging, which revealed global and typical metabolic deficits in Alzheimer’s. The patient underwent a total of 40 HBOT treatments – five days a week over 66 days. Each treatment consisted of 1.15 atmosphere absolute/50 minutes total treatment time. After 21 treatments, the patient reported increased energy and level of activity, better mood and ability to perform daily living activities as well as work crossword puzzles. After 40 treatments, she reported increased memory and concentration, sleep, conversation, appetite, ability to use the computer, more good days (5/7) than bad days, resolved anxiety, and decreased disorientation and frustration. Tremor, deep knee bend, tandem gain, and motor speed were also improved. Repeat 18FDG PET imaging one month post-HBOT showed global 38% improvement in brain metabolism. “We demonstrated the largest improvement in brain metabolism of any therapy for Alzheimer’s disease,” notes Dr. Harch. “HBOT in this patient may be the first treatment not only to halt, but temporarily reverse disease progression in Alzheimer’s disease.”The report also contains video imaging, including unique rotating PET 3D Surface Reconstructions, which allow the lay person to easily see the improvements in brain function. “PET imaging is used around the world as a biomarker in oncology and cardiology to assay responses to therapy,” says Dr. Fogarty. “We now have an irrefutable biomarker system that this intervention has promise where no other real hope for recovery of dementia has ever existed before.”The physicians report that two months post-HBOT, the patient felt a recurrence in her symptoms. She was retreated over the next 20 months with 56 HBOTs (total 96) at the same dose, supplemental oxygen, and medications with stability of her symptoms and Folstein Mini-Mental Status exam. According to the National Institutes of Health, “Alzheimer’s disease is an irreversible, progressive brain disorder that slowly destroys memory and thinking skills and, eventually, the ability to carry out the simplest tasks. It is the most common cause of dementia in older adults. Alzheimer’s disease is currently ranked as the sixth leading cause of death in the United States, but recent estimates indicate that the disorder may rank third, just behind heart disease and cancer, as a cause of death for older people.”The authors note that four pathological processes have been identified and primary treatment is with acetylcholinesterase inhibitors or the N-methyl-D-aspartate receptor antagonist memantine, which have been shown to have a positive impact on Alzheimer’s disease progression with no significant disease-modifying effects. HBOT is an epigenetic modulation of gene expression and suppression to treat wounds and disease pathophysiology, particularly inflammation. HBOT targets all four of the pathological processes of AD by affecting the microcirculation; mitochondrial dysfunction, and biogenesis; reducing amyloid burden and tau phosphorylation; controlling oxidative stress; and reducing inflammation. The first successful HBOT-treated case of Alzheimer’s disease was published in 2001. The present case report is the first patient in a series of 11 HBOT-treated patients with Alzheimer’s disease whose symptomatic improvement is documented with 18fluorodeoxyglucose positron emission tomography (18FDG PET).”Our results suggest the possibility of treating Alzheimer’s disease long-term with HBOT and pharmacotherapy,” concludes Harch. Materials provided by Louisiana State University Health Sciences Center. Note: Content may be edited for style and length. The patient underwent a total of 40 HBOT treatments — five days a week over 66 days. Each treatment consisted of 1.15 atmosphere absolute/50 minutes total treatment time. After 21 treatments, the patient reported increased energy and level of activity, better mood and ability to perform daily living activities as well as work crossword puzzles. After 40 treatments, she reported increased memory and concentration, sleep, conversation, appetite, ability to use the computer, more good days (5/7) than bad days, resolved anxiety, and decreased disorientation and frustration. Tremor, deep knee bend, tandem gain, and motor speed were also improved. Repeat 18FDG PET imaging one month post-HBOT showed global 6.5-38% improvement in brain metabolism. The report also contains video imaging, including unique rotating PET 3D Surface Reconstructions, which allow the lay person to easily see the improvements in brain function. The physicians report that two months post-HBOT, the patient felt a recurrence in her symptoms. She was retreated over the next 20 months with 56 HBOTs (total 96) at the same dose, supplemental oxygen, and medications with stability of her symptoms and Folstein Mini-Mental Status exam. 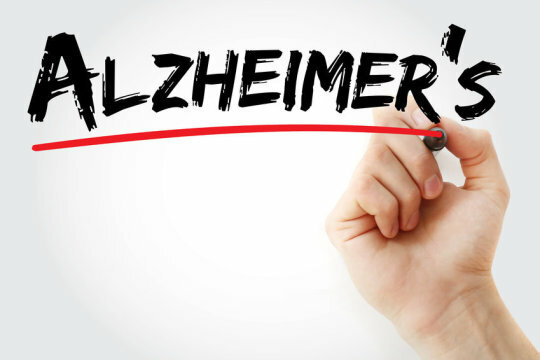 The authors note that four pathological processes have been identified and primary treatment is with acetylcholinesterase inhibitors or the N-methyl-D-aspartate receptor antagonist memantine, which have been shown to have a positive impact on Alzheimer’s disease progression with no significant disease-modifying effects. The first successful HBOT-treated case of Alzheimer’s disease was published in 2001. The present case report is the first patient in a series of 11 HBOT-treated patients with Alzheimer’s disease whose symptomatic improvement is documented with 18fluorodeoxyglucose positron emission tomography (18FDG PET). 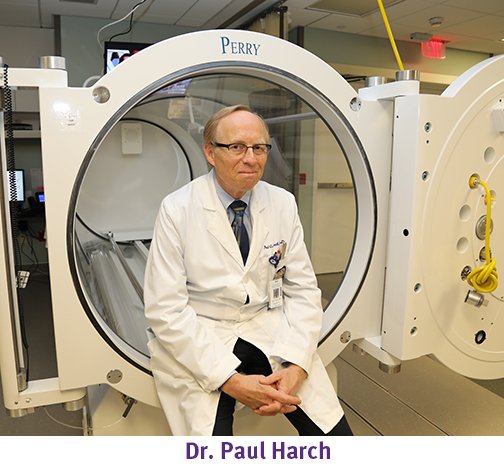 “Our results suggest the possibility of treating Alzheimer’s disease long-term with HBOT and pharmacotherapy,” concludes Harch.